Thinking of becoming a lawyer? Or a judge? Or are you interested in international business law, human rights, or criminal justice? Then join our Law School Academy to learn about the different options you will have when studying law at university. 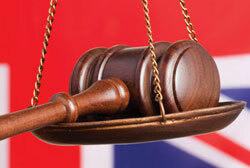 Find out about the different law subjects and learn how to work on actual cases. Length Each programme is 2 weeks. Lectures There are a total of more than 24 lecture hours (one hour is 45 minutes) of seminars and elective teaching offered during the whole duration of the 2-week-programme conducted by lecturers, tutors, and students of the University of Oxford (UK) and University of Cambridge (UK). Accommodation The programme takes place at Oriel College, University of Oxford (UK) and Magdalene College, University of Cambridge (UK). All accommodations, teaching, and dinning are provided within the same general premises. Accommodations are provided as single bedrooms with shared bathrooms making sure that male and female delegates are separated. The programme includes breakfast and dinner in the college dining hall and various restaurants for special occasions. Fees GBP 2,950 – includes breakfast & dinner, lectures, seminars, excursions, and spare time activities. *lunch is not provided and can be purchased at nearby restaurants. Prerequisites Students must be proficient in English and between the ages of 16 – 18. Only high school students are allowed to participate or students who just graduated from high school but not yet attending college or university. Information In addition to lectures, there will be many on-campus free time activities as well as excursions to famous landmarks in the United Kingdom. Residential Advisors will be available throughout the programme to assist our delegates. Laws, regulations, and our whole legal systems are heavily influencing our professional lives, our education system, our health care, our media and all other aspects of our lives. 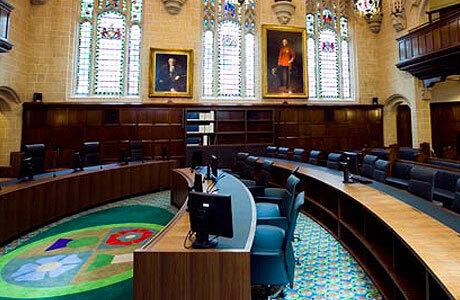 As part of Law School Academy you will find out the impacts of law for every one’s life. We will share with you how important legal contracts are… Additionally, we will analyse your study options for law in Oxford, Cambridge, and other outstanding universities worldwide. Note: Due to unforeseeable circumstances (such as weather conditions), please consider the time table above a rough draft only as changes may occur. To apply for this programme, simply fill out our online application form. You can also download our PDF application form, fill it out, and email or fax the completed form back to us. Please send all completed application forms to info@cbl-international.com or fax it to +44 (0) 2079 006 405. If you have any questions regarding our application process, please feel free to contact us at anytime.